Rivers and Roads: GAP giveaway. There's nothing like updating your wardrobe for fall. I absolutely love picking up some new jeans and a few sweaters to kick off this glorious season! While fall is not quite here yet (and there's really no reason to rush summer out the door), it still would be silly not to take advantage of all of the back-to-school sales going on! 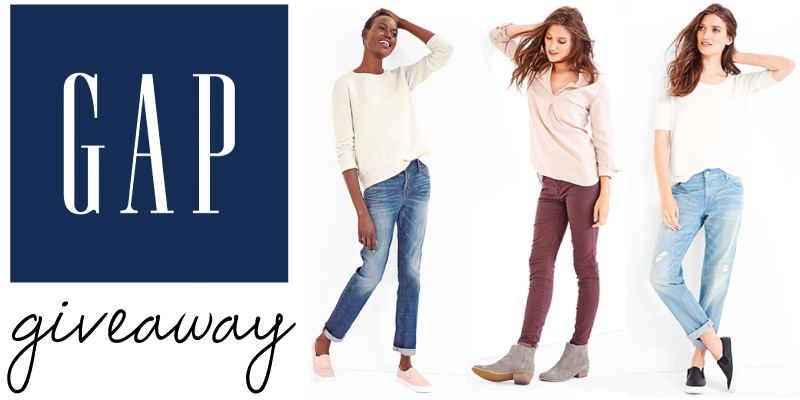 And just to help you out with that fall wardrobe shopping, I've partnered with Betsy and a few other bloggers to offer one lucky reader a little shopping spree at GAP! 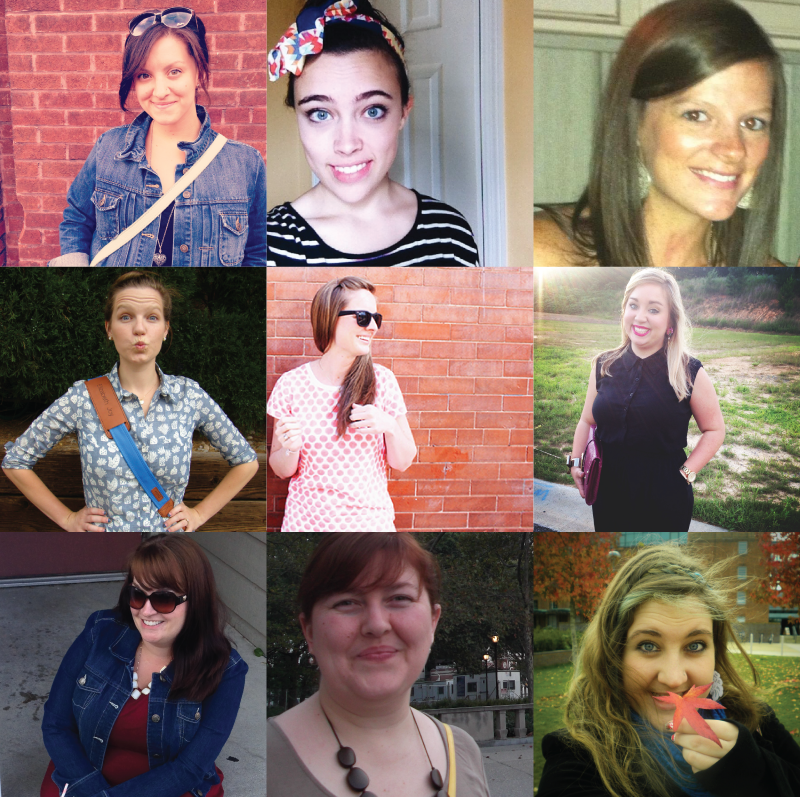 This awesome giveaway wouldn't be possible without partnering with some fabulous blogging friends! Each of these girls is so sweet and generous, and I hope you take a moment to stop by each of their blogs and check them out! scarves are my must have for fall! :) love this giveaway! My favorite fall piece is a thick chunky scarf! - In so. Cal we get about 3 days of fall weather. Lame. I love boots. They are one of my favorite parts of fall! Starbucks and Gap are great... But together they are perfect! My Starbucks addition is real and I love Gap jeans! boots! last year i got tall boots and they are the epitome of fall to me. I lost weight and need new jeans something FIERCE! My favorite fall piece of clothing would have to be the party cardi! Love it!! I'm so happy that fall is almost here because I will be able to wear scarves again! And sweaters and boots...so many fun clothes! I love chambray, cozy scarves and jeans - all of which I can't wear to work. So I think I'll go with ankle boots. They were my favorite last year! I love my chambray and also a good flannel plaid shirt! I love being able to pull out my fall boots! My favorites for fall have to be cardigans! I just love how versatile they are! My favorite fall clothing piece is boots. My fave fall clothing piece is Moto Jackets! i love my new dolce vita shoes. they are nothing short of amazing! Gap & Starbucks is like the perfect fall activity! Can't wait to pull out the layers, scarves and boots!